When speaking about reviews for brokerage firms, the name Gain Capital comes up again and again. We give you here a Gain Capital review but detail review you can read at Forex.com Review.. There are many different things to like such as education material for beginners and intermediate traders as well as plenty of research and trading tools. On the other hand, there are some dislikes such as higher costs for experienced traders for this particular brokerage. With that being said, Forex.com/Gain Capital is one of the largest brokerages in the world offering many different options and tools for the trader to use. They may not be inexpensive, but they are not the highest cost brokerage either. This is a good place to start if you are new to the Forex market. Gain Capital Holdings provides global Forex market and services. With a wide variety of platforms to choose from such as MetaTrader 4 a client now has more ways to connect to the market. Their web site, Forex.com offers educational videos, training, news and research for every experience level. Here are some numbers as far as trade commission’s go. The smallest amount of account would be the mini account and the maximum leverage for US is 50:1. For international foreign exchange pairs the leverage goes to 200:1. Spread values go from 1-2 pips between bid and ask pricing. At this time, there are no premier accounts such as a micro account. Institutionalized Forex trading is available however. An account with this brokerage features a no minimum deposit, investment education, no maintenance fees and online trader community. The trade commission on Forex trades with this broker is $12.60. So there are a lot of features available. Some of the spreads available can be GBP/USD 3.2, USD/CHF3.0, USD/JPY 2.3 and AUD/USD 2.8. Another reason to use this brokerage firm is for the free 30 day practice account loaded with $50,000 to practice with. For someone that is new entering into the Forex market, this can be an education well worth getting. Research and training material are all available to a new Forex trader. They have a high reputation for customer service and have multilingual operators on duty 24/7. Forex.com/Gain Capital also has high marks for service as well as solid business practices. They are well recommended by many of their clients and have word of mouth repeat business in the Forex market. Considering all the pluses of dealing with this particular brokerage, it should be said that if someone is interested in getting their feet wet this is the brokerage to do it. Many options make trading with this broker very pleasant. While there are plenty of names in the sea of Forex brokers, Gain Capital/Forex.com leads the way with a great reputation. Find out for yourself what this particular brokerage can do for you. Signing up is easy and takes about 5-10 minutes of your time. Couple that with multiple trading platforms for different devices. This gives Forex.com the edge when it comes to Forex brokerages. you are new at forex market and you want to start from the biggest and most secure broker world company – you will go to forex.com website. If you are looking for a great brokerage in the sea of many, why not take a look at Gain Capital/Forex.com? Following is a Gain Capital/Forex.Com Broker review.In thisForex.com Reviewwe can see that this company was started in 1999 and has a strong presence globally with traders in 140 countries. The software of choice is the ever popular MetaTrader 4. This platform offers many different services to its traders through the use of the platform such as Limit order, Stop order, Trailing stop order and others. The possibility is also there for trading in commodities or mutual funds. Other services include cell phone based applications as well as web applications. The flexibility in the pip spread is a good 1-2 based on the major pairs. Also provided is Forex based EA’s that are completely automated and is also coupled with Tradestation. This allows more users to use the services. However when only using the Gain Capital side this service only allows usage of the Forex Trader Pro software. This is in contrast to using Forex.com with both platforms being present. So they are not the same when it comes to Forex trading live in the market. Minimum deposits required for standard account is $2,500 USD. 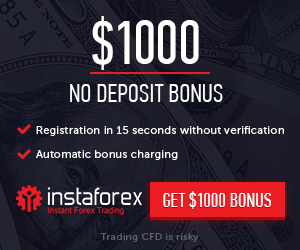 On the Forex.com side minimum for standard account is $100,000 USD. Minimum margin deposit for this account is $2,500 with 100:1 leverage on the account. For a mini account the deposits are $250.00 for Forex.com. For a mini account transaction size has to be $10,000 with minimum deposit of the $250.00 with the same leverage as a standard account. The one thing that can cause problems for Gain Capital is the fact that slippages and hanging servers. These have caused a lot of complaints for them, especially in light of the minimum deposit being so high. Complaints have also arisen due to the stops not working and the spreads not working in the pip area they are supposed to. It makes for a not too good platform to work with as far as Gain Capital is concerned. The speed is not what it should be due to having so many people using it the world over. With that being said, there are traders that have given very positive reviews to Gain Capital. Some of the Gain Capital/Forex.com broker reviews are glowing, others are not so glowing. You will have to decide for yourself which one is right in this particular case. If you want to give them a shot, then the suggestion is to use their free demo account and then decide based on what you experience. This is the only fair way to rate this brokerage firm. With so many different reviews available, it will be up to the trader in question to decide whether or not they want to have Gain Capital as their trading broker for Forex. Read through the reviews and try the demo account. Then decide based upon that. A review of a different sort may be forthcoming if your experience is positive with Gain Capital/Forex.com.